Capital Business Solutions recently provided South Carolina State University a comprehensive System Assessment of their Financial Edge accounting software. Working with A.L. Fleming, Associate Vice President of Institutional Advancement, CBS performed a thorough System Assessment of their Financial Edge accounting software. The System Assessment of Blackbaud’s The Financial Edge included a review of the General Ledger, Account Structure and Reporting along with thorough discussion with key staff regarding business processes, office workflows, tasks and responsibilities. The sessions also included help in determining reports needed from the system and identification of training needs for end users. As a result of the Assessment, South Carolina State University will be utilizing CBS for additional data cleanup, system changes and training. Who is South Carolina State University? 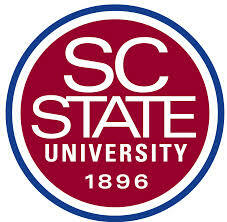 The South Carolina State University Foundation was chartered in 1971 to support the University’s educational goals. The foundation receives, manages and distributes restricted and unrestricted endowment gifts, annual gifts, capital campaigns, planned giving and other ongoing fund-raising programs — all aimed toward building and maintaining outstanding programs. Gifts to the foundation support and build the academic, research and public service programs of the University through faculty and student aid programs. Which CBS Consultant worked with South Carolina State University? If you are interested in finding out more about customized Nonprofit Accounting Software Training and Consulting call Andy at 888-366-7527 x26 or email athorson@capitalbusiness.net. You can also use our contact us form to request a free no obligation quote.